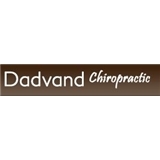 Dadvand Chiropractic Inc (Los Angeles) - Book Appointment Online! At Dadvand Chiropractic we offer a multidisciplinary approach to health care that includes osteopathy, physiotherapy, massage therapy, naturopathic medicine and acupuncture. Our experienced health practitioners provide treatments that combine conventional western therapies with appropriate complimentary therapies. Although our clinic has a strong osteopathic base, we feel no one therapy can provide all the answers and by combining different therapy approaches we can collaborate to provide you with more efficient and effective treatments. Our goal is to help you maximize your health, well-being and mobility by addressing and treating the cause of the problem rather than just the symptoms. We emphasize education and self management. We strive to treat the causes of your pain, provide rehabilitation and help restore maximum function in order to prevent a recurrence. Extremely knowledgeable chiropractor that goes above and beyond to be attentive to your needs. He really has helped me worked thru a possible herniated disc. In addition, the receptionists are extremely friendly and helpful.Highly recommend.